This year for Easter a few of my friends and I decided to go all out and have an Easter "Egg"stravaganza. 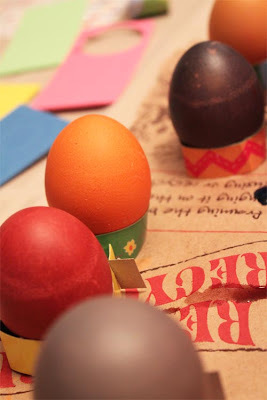 Complete with Easter feast, Easter egg dying, Easter egg hunt, Easter cake, and a biblical reading of the true meaning of Easter. 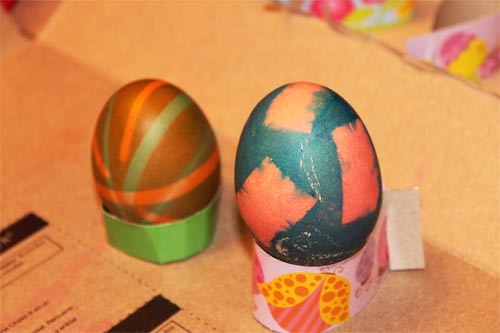 Here are some photos of our crafty egg dying. Some eggs turned out better than others - Tiffany and Erin kept things classy by sticking with the solid colors, but Trevor was like an egg dying wiz and came up with all sorts of cool designs. 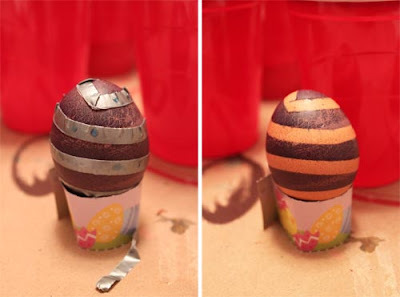 We experiemented with rubberbands and duct tape and used brown eggs instead of white to get deeper jewel tones. 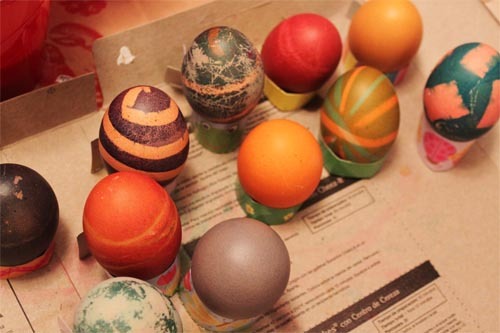 Between our successful ham feast, the crafty egg dying, and the dollar bill that I scored during our egg hunt, I'd say this was one of my best Easters to date.